A Whole Home Inspection from Zone Zero includes over 300 different systems and components. To get the most from my services, I request you read “Before the Home Inspection“. 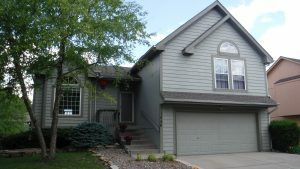 This information should be sent to the sellers so they can get the property “Inspector Ready”. Mechanical Systems include heating, cooling, electrical, plumbing and built-in kitchen appliances. All these systems will be visually examined and should function correctly. 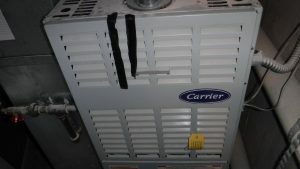 HVAC systems will be inspected using the operational controls as long as the weather is cooperating. Where accessible, all outlets, switches, faucets, drains, garage door openers and ceiling fans will be inspected for correct operation. 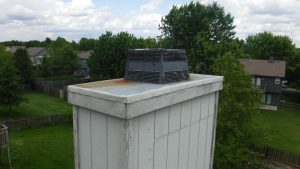 Outside Structural Components such as the roof (including masonry and chimneys), foundation, exterior siding, gutters and downspouts, landscape, vegetation and decks will be inspected provided everything is accessible. If the roof is accessible and safe, I will walk the roof and examine it closely. Inside Structural Components includes doors, windows, floors, stairs and railings, walls, ceilings (looking for any anomalies or evidence of water damage) attics, chimneys and fireplaces. Limitations and exclusions happen when areas are not accessible for visual inspection. This may include anything that is obscured by furnishings, behind walls, inaccessible attics, vegetation or areas that I can’t physically access. Please see the NACHI Standards of Practice for information covering anything that I have not specifically mentioned. A comprehensive, whole home inspection is critical for understanding the condition of your new home. Remember the comment about the health care bill, “You have to pass it before you can see what’s in it.” How well did that work out? Don’t treat you new home the same way, get an in depth assessment of your property (including the grounds and water movement) and find out exactly what’s in it before you buy it. Having your home inspected before it’s listed is a great way to correct any issues that could adversely affect the value of your property. Over time, homeowners become comfortable with their environment and overlook something they consider minor. Like a squeaky hinge, issues that you take for granted may spark doubt in a potential buyers mind. A completely new perspective from a non-biased individual can open your eyes about the condition of your home, giving you ample time to affect repairs and get your home “Move-in Ready”. If there are fewer issues to be solved before you sell your home, the sales process moves forward with less hassle and potentially higher price. Great inspection for the investor! It’s estimated that 30 percent of homes sold in 2016 were either purchased as an investment or vacation home. That number will continue to increase due to rising rent prices and other market forces. Having your investment property inspected by a professional before you purchase, is a great way to really understand what you are purchasing. Think of it as CarFax for your property. These inspections focus on the primary systems that have the most impact on the value of the property. Contact Me or Schedule your Home Inspection Now.